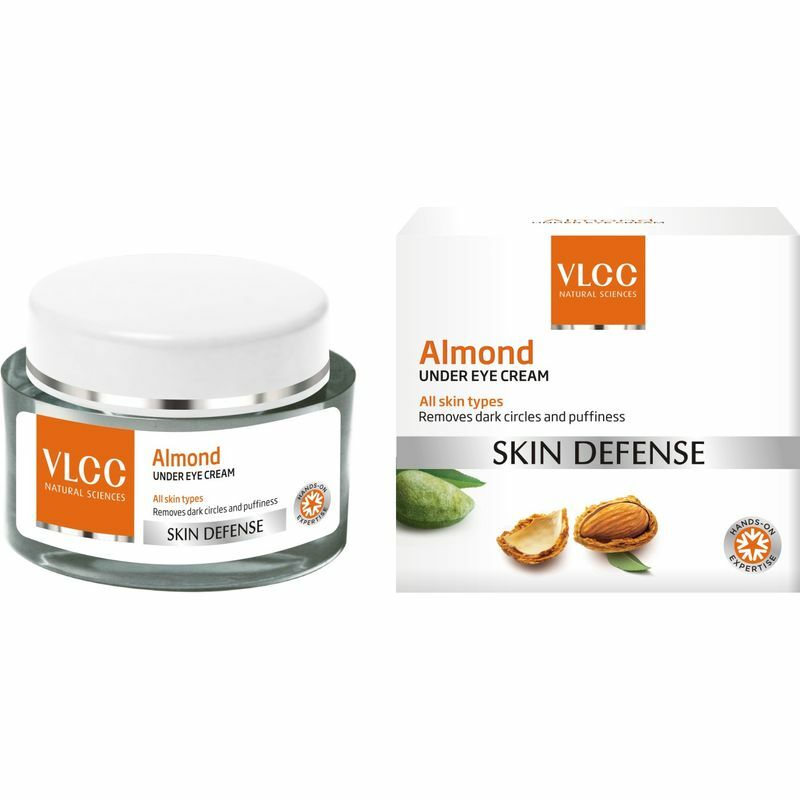 Get rid of dark circles and eye puffiness with VLCC Almond Under Eye Cream. This eye cream nourishes the skin from deep within and keeps it looking young. Enriched with Almond and Chamomile extracts, this under eye cream offers a soothing effect to your eyes. A gentle, regular massage with the cream helps de-stress and over time reduces pigmentation by improving blood circulation in the affected area. Explore the entire range of Dark Circles & Wrinkles available on Nykaa. Shop more VLCC products here.You can browse through the complete world of VLCC Dark Circles & Wrinkles .